In the fourth work from acclaimed director Karan Johar, Forrest Gump goes Bollywood for this epic tale of a mentally disabled man who enriches the lives of everyone he encounters. During its surprisingly riveting 161 minute running time, the film spans the globe while chronicling three decades in the life of Rizvan Khan (Shah Rukh Khan) whose story is told mostly in a series of extended flashbacks by Khan who begins writing about his life in a diary for his beloved Mandira (Kajol). Journeying from humble roots coming-of-age in India during the Muslim/Hindu riots thanks to his mother's belief that the world is only comprised of those from all walks of life who are either bad or good, eventually Khan finds love when he moves to San Francisco. Having been undiagnosed until adulthood, once there the extraordinarily bright man who has a knack for fixing things but problems expressing his emotions or understanding subtlety in conversation discovers he has Asperger's Syndrome. Yet soon Khan is able to figure out how to navigate the terrain of his condition to experience life to its fullest. And it's about this time that he falls for hardworking beautician and single mother Mandira whose patience and warmth helps their relationship blossom from a nice friendship into a loving marriage. Blissfully happy and supportive of each other's needs despite the fact that in addition to their mental and emotional challenges, the two adhere to different faiths as Mandira is a devout Hindu, once 9/11 strikes and the two experience a horrific tragedy caused by prejudice, their family is torn apart. 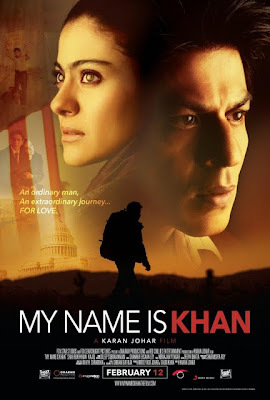 Determined to set things right, win back his wife, and meet the president of the United States to share his mantra that his “name is Khan” and he is “not a terrorist,” Rizwan Khan begins a Gump like quest throughout the United States in this charming effort that mixes tear-jerker sadness with lighthearted humor. Emotionally however, My Name is Khan is as manipulative as women's weepie pictures of the 1940s while also being infused with the same socially conscious subtext of 1950s realism. Nonetheless the film strikes that difficult balance between the nostalgic familiarity of something from the past mixed in with the concerns of the present in a timely portrait of life after 9/11 for Eastern immigrants who practice the Muslim religion as American citizens. Given its important message of tolerance and understanding that's nicely augmented by a narratively strong backbone, director Johar ensures that the movie holds our attention from start to finish. However, frequently the supporting characters such as the African-American Georgia residents seem disappointingly one-dimensional in an obvious political Hurricane Katrina modeled metaphor. Likewise, at times the work feels far more pointed than a Michael Moore documentary especially when a character manages to pull through from certain-death as President Obama is elected to office in a moment that's more propagandist than it is poignant, which actually garnered laughter from this liberal reviewer. Yet in spite of its earnest absurdity, because the film's heart is in its right place, it's easy to remain continually moved by the production even when it falters with false notes or forced plot points. 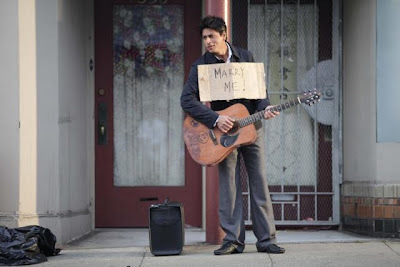 One of the most financially successful Bollywood productions to date, Fox Searchlight's My Name is Khan admittedly has less in common with the company's Oscar winning Slumdog Millionaire than it does with Paramount's Oscar winning Forrest Gump. Atypical but lovingly made, the flawed but fantastic emotionally charged “people mover” picture uses old-fashioned Hollywood techniques and innocently nostalgic charm to open our eyes to the plight of Muslim citizens in a post-9/11 world by taking a one-of-a-kind journey with a man whose Name is Khan.